Nidhi Company is incorporated in the nature of Public Limited Company. Hence, all requirements for the Public limited company will be applicable. There is also a myth in the industry that a Nidhi Limited Company is first incorporated as a Public Limited company, and then registration of Nidhi is initiated. However, the above statement does not hold true. Nidhi Company is registered from the beginning as a Nidhi limited. There is no separate approval process. Minimum Seven Members: Nidhi Company can be started with seven members. Out of which 3 are also to be appointed as directors. These members can be your relatives. Also, there is no educational qualification required for any of any member. Documents Required: Documents required can be further classified into two subheads: Documents of Members and Registered Office. Note: Voter Id/Passport/Aadhaar Card/ DL are not accepted as valid address Proof. Note: NOC stands for No Objection Certificate: We will provide the format, you just need to sign on plain paper. Electricity bill, Gas bill, Telephone Bill, Water Bill are served as utility bill for registered office. No Minimum Capital Requirement: This requirement has been officially waived off by the Ministry of Corporate Affairs (MCA). Earlier, it was used to be INR 5 lakh, but now you can register Nidhi Company with any amount of capital of your choice. However, we recommend you to start the company with INR 10 lakh, because of 5 of Nidhi Rules, 2014, which mandates you to have INR 10 lakh owned fund invested into the . So, it is recommended to start the Nidhi Company with INR 10 lakh capital. Not Less than 200 Members: After incorporation, a Nidhi company must add at least 200 members to comply with this requirement of law. Further, it has to maintain this during the course of time. If the total members falls less than 200 at anytime thereafter, it will leave the company at default. However, are not able to reach the limit of 200 members, then you must apply for an of time within 30 days of closure of financial year in Form NDH-2 with Regional Director. Net Owned Funds of 10 lakh or more: In a layman language, Net owned funds means amount invested into the business. As already stated, this requirement can be fulfilled by registering the company at INR 10 lakh capital. Net owned funds to Deposits should be 1:20: This ratio is very easy to understand. Suppose, if you have net owned funds of 10 lakh, then your total deposit limit would be INR 2 Crore. Above ratio reflects the upper limit on total deposits. We have only discussed the essential requirements above. There are many other compliances and requirements. You can read other articles on Nidhi Company for better understanding, or you can contact us. 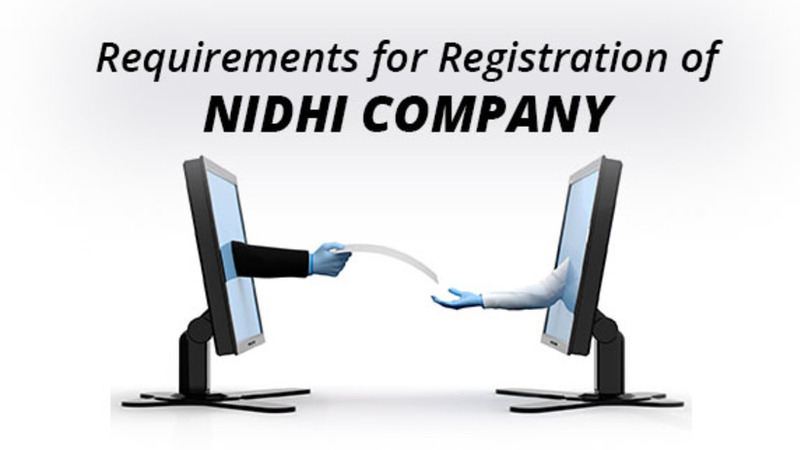 There are lots of articles on the Internet on how to register a Nidhi Company in India. However, most of them are either obsolete or contains the wrong information. Always verify the information from the learned professional.